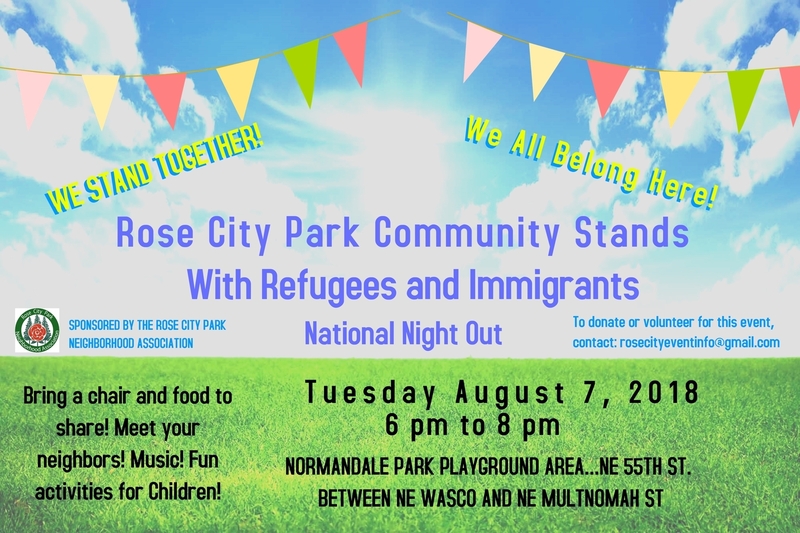 On Saturday July 14 a group of women and children, some who were new to Portland, were picnicking and playing in Normandale Park when they were verbally attacked by a woman who screamed at them that they didn’t “belong” in the park and that they should “go back where you came from”. 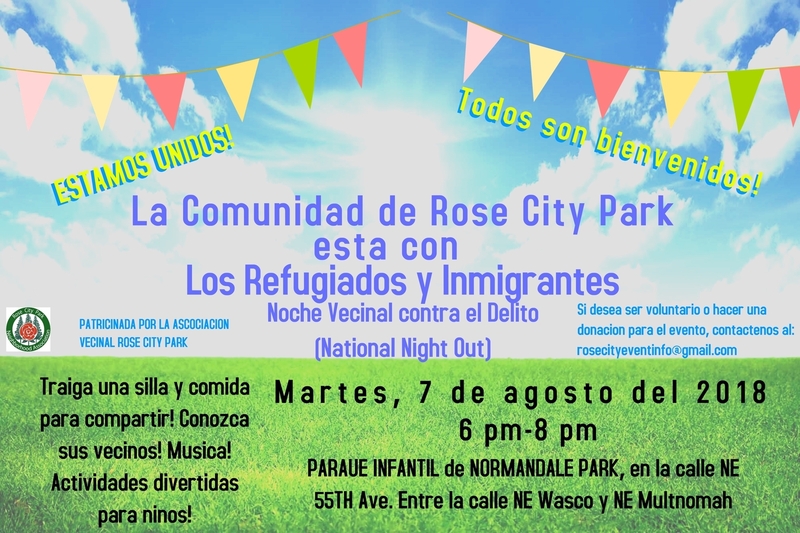 The Rose City Park community is organizing this event to stand with our refugee and immigrant neighbors and to support everyone’s right to feel safe in the community. “We All Belong here!” Please join us for a fun family event!